I color diamonds are on the cusp of the Purist Vs Realist debate. They’re not absolutely colorless but, then again, whatever color is there is usually extremely difficult to detect. This means the decision on whether an I color diamond is suitable for you comes entirely down to personal preference. What Is an I Color Diamond? On the official color scale of the Gemological Institute of America (GIA), I color diamonds come under the heading of “near-colorless”. Technically, only D, E and F color diamonds are colorless. When examined closely, and under very controlled lighting, anything above F may indicate faint color. This color is almost always going to be yellow. Other colors do occur in diamonds, but yellow tint accounts for almost all non-white stones. In general everyday wear, it is very difficult to spot any tint in most diamonds. This is often the case up to even J or K color. That’s not to say it isn’t there, just that it won’t be obvious to most people. Diamond color doesn’t influence the other 3Cs of clarity cut or carat weight. Clarity and cut can, just occasionally, emphasize any color in a diamond. Colorless diamonds at D, E, and F color come at a significant premium over other colors. A G color diamond, for example, can be up to 25% lower in price than the equivalent D color stone. This pricing trend continues through the grades. By the time you get to I color, it can be up to 40% less expensive than G color. Or put another way, less than half as expensive as a D Color. There are other factors to take into account, of course. 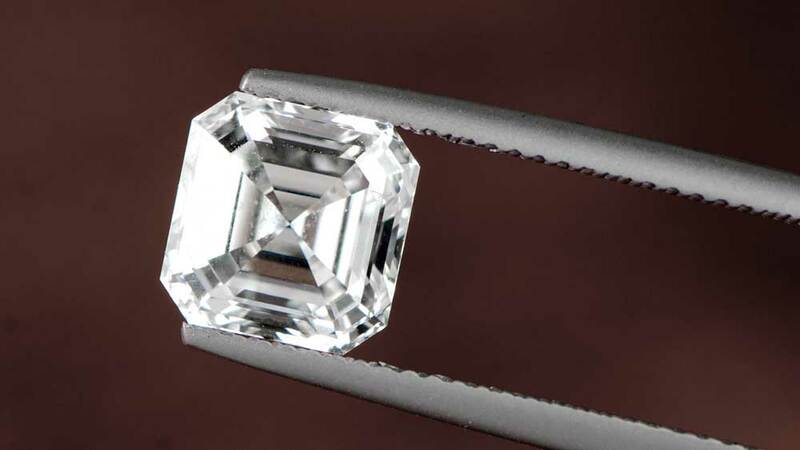 The cut, clarity and carat weight will all influence the price individually, but there’s no denying where the bargains are. We’ve already determined that I color diamonds will look colorless to most people in most circumstances. It might help to know that even experts usually have some control diamonds they use to compare diamond color. By looking at a certified colorless diamond alongside another stone, they will determine what color grade to award. 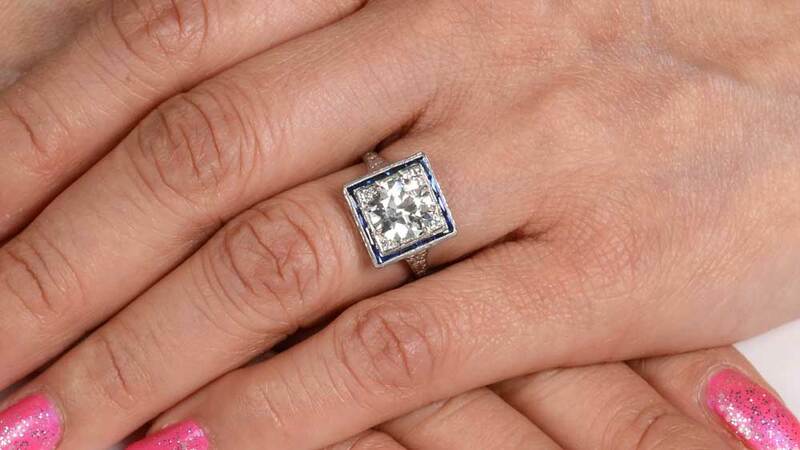 Unless your fiancé plans to hold her ring against every diamond she sees, I color will look like a D color. Yes, it’s a bold statement but one that is valid. That’s not to say that D color diamonds aren’t special, their very rarity proves that. If you do see a D diamond, then you will know you’ve seen one. They are just so rare, and so expensive that the chances of stumbling on one are pretty slim. Dollar for dollar, or color for dollar at least, I color diamonds represent the best value for money you can find in a white stone. Despite all we’ve said about I color diamonds being as good as colorless to the untrained eye, there’s a little more to it. It’s actually quite difficult, even for an expert, to determine diamond color using a top-down viewpoint. In order to see color clearly, it is the underneath which is the usual viewpoint. Diamond settings are only ever the “right” way up, of course, so things are on your side. In a white metal setting such as platinum or white gold an I color will often, to the casual observer, look nothing less than colorless. 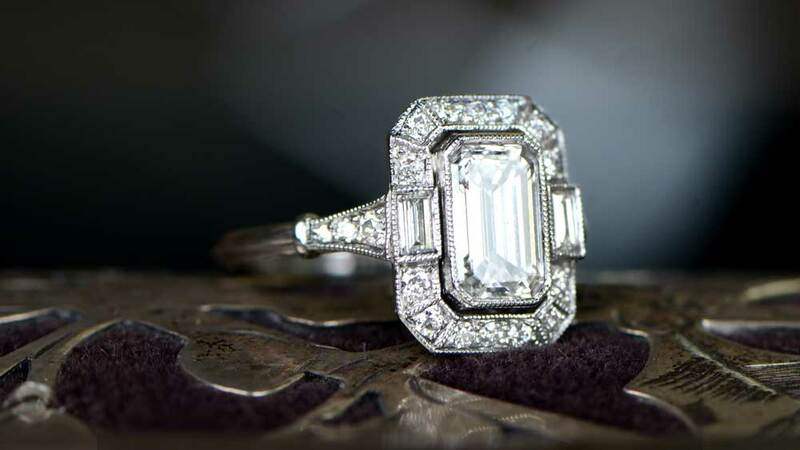 But, in certain lights, the white metal can expose any yellow in the I color diamond. It’s still a matter of needing more than a cursory glance, but the chance is there. In all honesty, we’re not sure it’s anything you need to worry about, but it’s probably best to know. In yellow gold settings, an enhancement of the color in the diamond occurs, however faint. The extra warmth of an I color diamond, however slight, works wonderfully with yellow gold. As well as helping the natural yellow of the diamond to come out, the reflection of the yellow gold of the setting adds further warmth and color. This can make for a very pleasing end result. Even with noticeable color in a diamond, the standard of clarity remains constant. The cut will also comply with the same exacting specifications as a D color diamond. This means the color grade really is the only “C” of the classic 4Cs of diamond grading by the presence of a yellow tint. Weight, actually, can make a slight difference. The larger the diamond, the more likely the chance of color becoming noticeable. It’s not a physical thing in that large diamonds have more colors, an I color is an I color at any size. It’s simply that the facets will be proportionately larger, which can reduce the masking effect which normally occurs with 58 or 59 facets on a smaller stone. So, sparkle and fire remain the same, even in an I color diamond. The cut only really comes into play if it is poor quality or if the diamond is particularly large. All other things being equal, an I color diamond holds its own very well against much more expensive diamonds. Unless money is no object, it can be good to start at I color diamonds to get a feel for cost and availability. 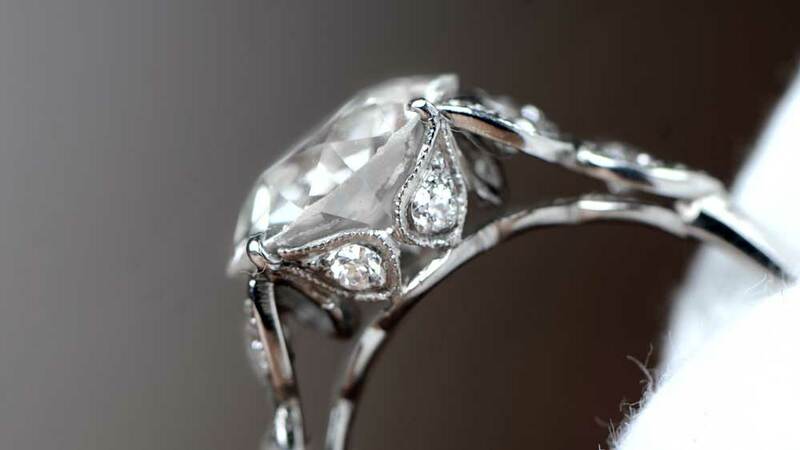 If you are keen on antique and vintage engagement rings, many available rings will be I color or even J color. Don’t think that I color diamonds are somehow not worthy of your time and money. They are still incredibly high-quality diamonds. No, they’re not D color, but that doesn’t matter. It’s what you see that matters, not a label.